I have to complete a project for a university exam. 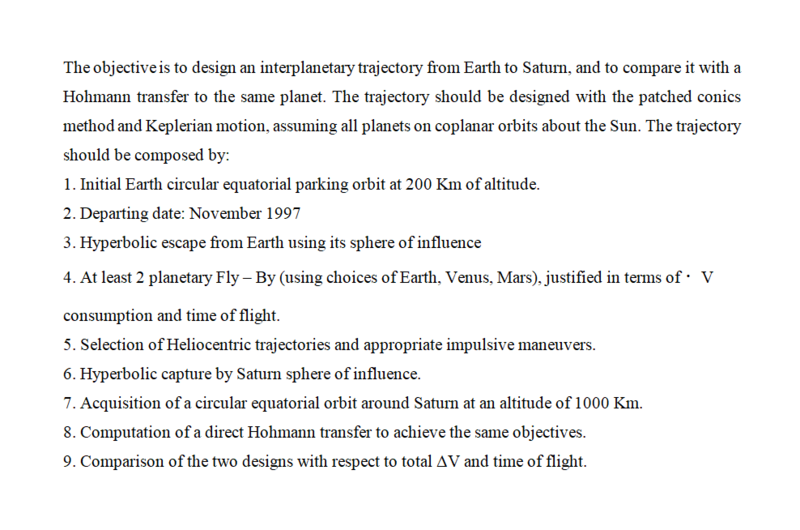 The task is to design an interplanetary trajectory from Earth to Saturn, and to compare it with a Hohmann transfer to the same planet. I also have some specifications for the trajectory, including two planetary fly-bys. I did not understand the topic very well, so I don't understand what do I have to compare it with. Isn't this trajectory (the one showed the picture) already a Hohmann transfer? Should I try another kind of transfer orbit? What's the most frequent transfer orbit in orbital mechanics? Edit: the whole text is here. The objective is to design an interplanetary trajectory from Earth to Saturn, and to compare it with a Hohmann transfer to the same planet. The trajectory should be designed with the patched conics method and Keplerian motion, assuming all plnets on coplanar orbits about the Sun. Computation of a direct Hohmann transfer to achieve the same objectives. Comparison of the two designs with respect to total delta-v and time of flight. Comput(e) a direct Hohmann transfer to achieve the same objectives. Maybe they just mean compare to a simple Hohmann-like transfer from Earth's orbit to Jupiter's orbit without any fly-bys? In the particular context of the project statement, there's an interplanetary trajectory, which you design, and there's a Hohmann transfer which is defined and so you don't design it. Should I try another kind of transfer orbit? I don't think so. I think it means compare your existing design to a single Hohmann transfer between and Earth-like orbit and a Jupiter-like orbit. It says coplanar, and the true orbits of Jupiter and Earth are not perfectly coplanar, (they're not perfect circles either) so I think you can make some tiny approximations, but you'll see that the differences in delta-v and in time are quite large. Not the answer you're looking for? Browse other questions tagged orbital-mechanics trajectory interplanetary mission-design hohmann-transfer or ask your own question. 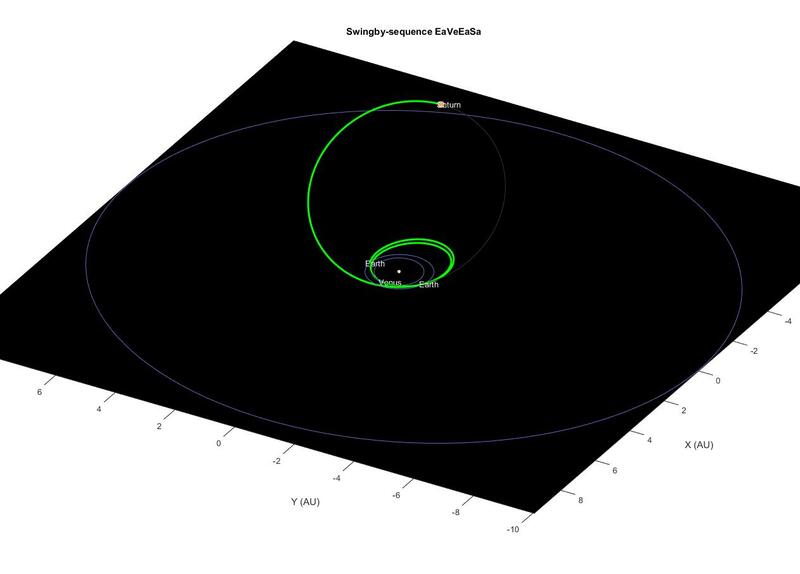 Finding Delta V to circularize orbit after a transfer orbit. What's the reasonable “window” in days for a Mars-Earth Hohmann transfer? Ratio of low-thrust slow spiral to Hohmann transfer $\Delta V$?